SKU: NA-120VX6LMY. Category: Front Loader. Panasonic ActiveFoam System enables fast Washing in just 49 min. 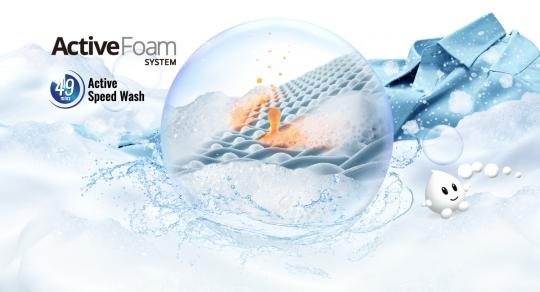 Its fine, high-density foam delivers optimum washing performance even in a shorter time. It give you more time for the important thing in life. *At a half load, Active Speed course . Removes stains efficiently by soaking clothes in a 40°cC warm detergent solution with the optimal washing sequence. Eliminates 99.9% bacteria from laundry without hot wash through Blue Ag+. 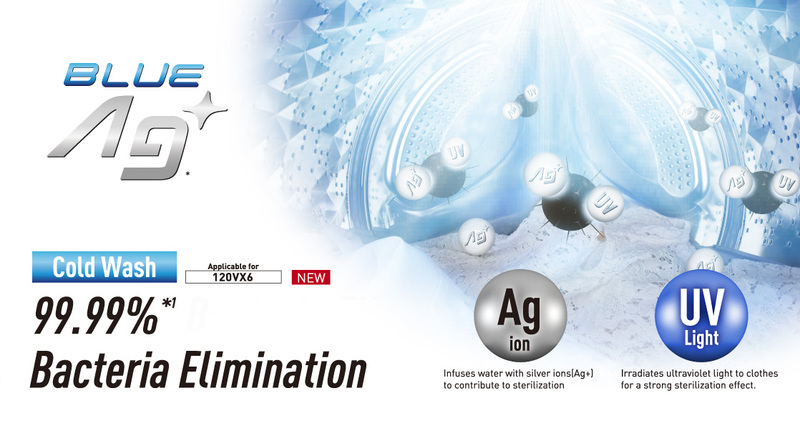 This innovative hygiene technology combine silver(Ag) ion and UV light for sterilization effect. It save electricity while washing most washable clothes with less color fading & shrinking .